Hands down, our top pick for the best añejo tequila is the Grand Mayan Ultra Aged Añejo. 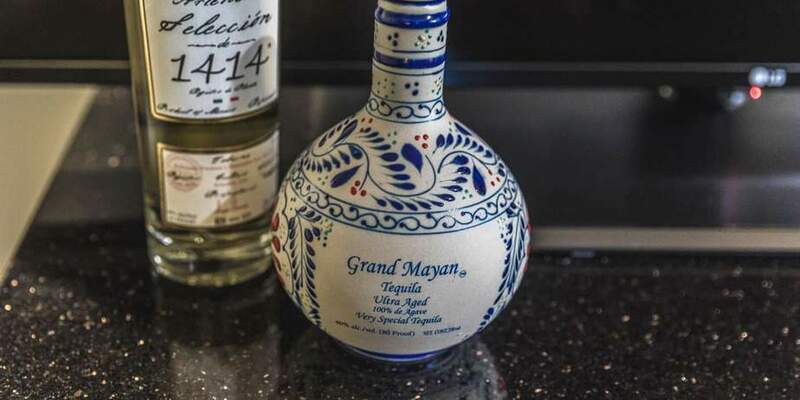 An extremely fine sipping tequila, Grand Mayan Ultra Aged comes from one of the very best tequila distilleries in the world. A deep and nectar-like spirit with notes of honey, Grand Mayan Ultra Aged Añejo is perfect for those who demand the very best. We’ve all had that stomach-churning, head-splitting morning after. Odds are you weren’t even drinking a real tequila at those college parties we (sort of) remember. Instead, it was probably a mixto, or tequila cut with extra sugar, flavoring, and additives. It makes us dizzy just thinking about it. Tequila isn’t all about shots with salt and lime. 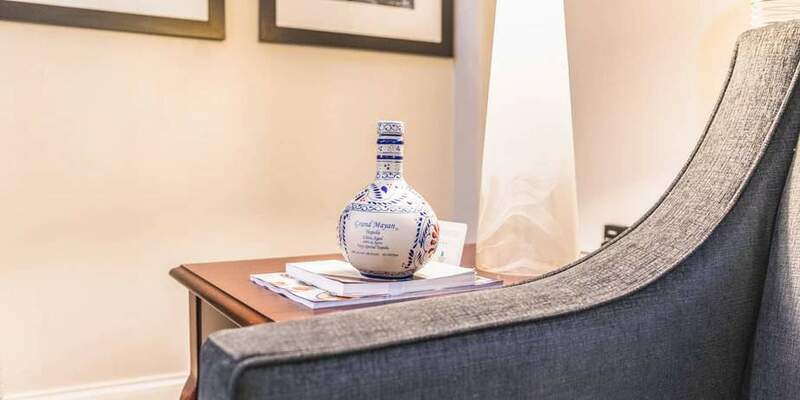 The fact of the matter is sipping a fine añejo tequila, aged for at least a year but no more than 3 years, should be a soul-enriching experience, not so very different than sampling a fine wine or appreciating a good scotch or whiskey. Once you get to know good tequila, with a production process steeped in history and tradition, you’ll realize you’ve never truly known tequila at all. 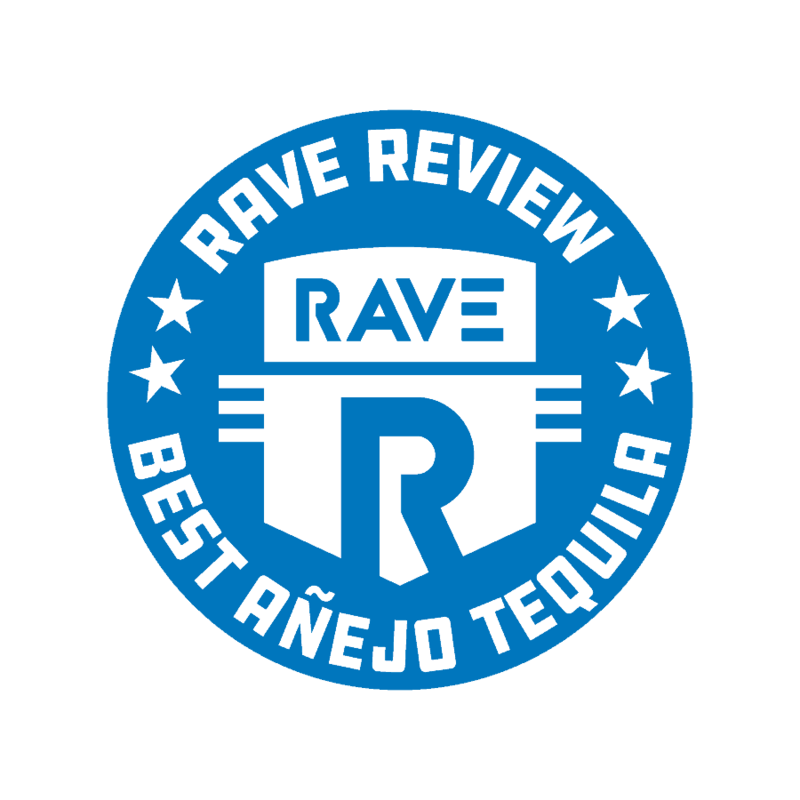 RAVE Reviews wants to introduce you to the very best añejo tequilas on the market. With this information, you’ll never think of tequila the same way again. 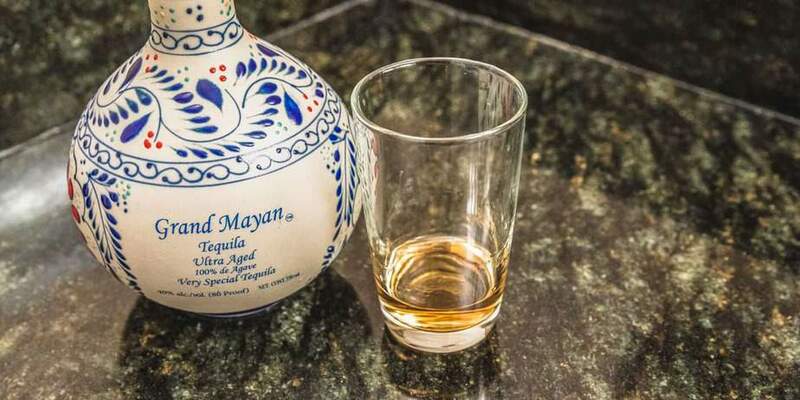 Grand Mayan Ultra Aged Añejo is a top-quality blend of tequilas aged between 3 and 5 years. 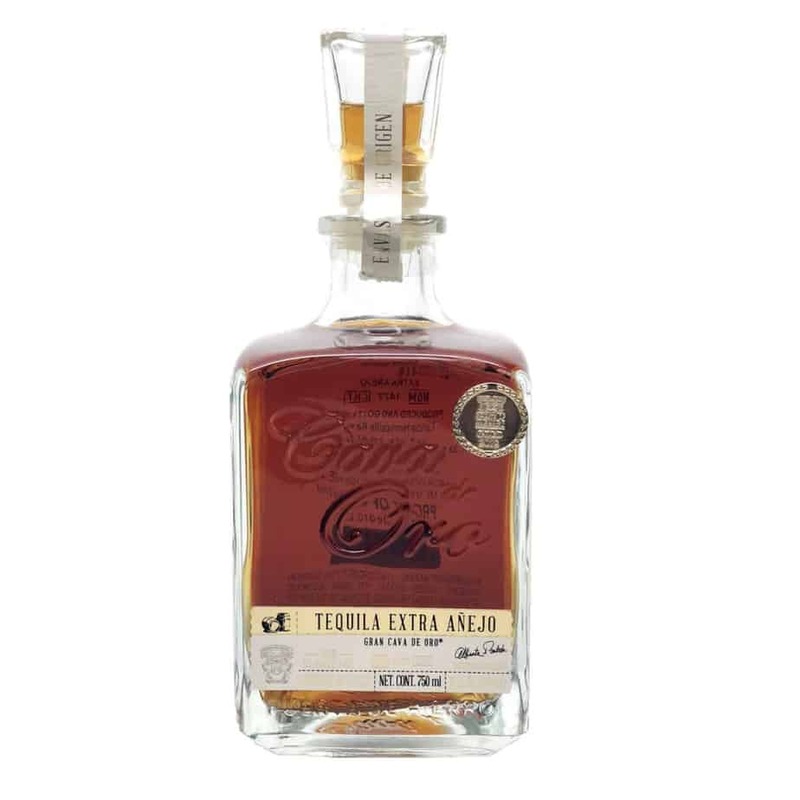 Rich with flavors of caramel, vanilla, and oak, this is premium tequila at its finest. Even the bottle is beautiful. 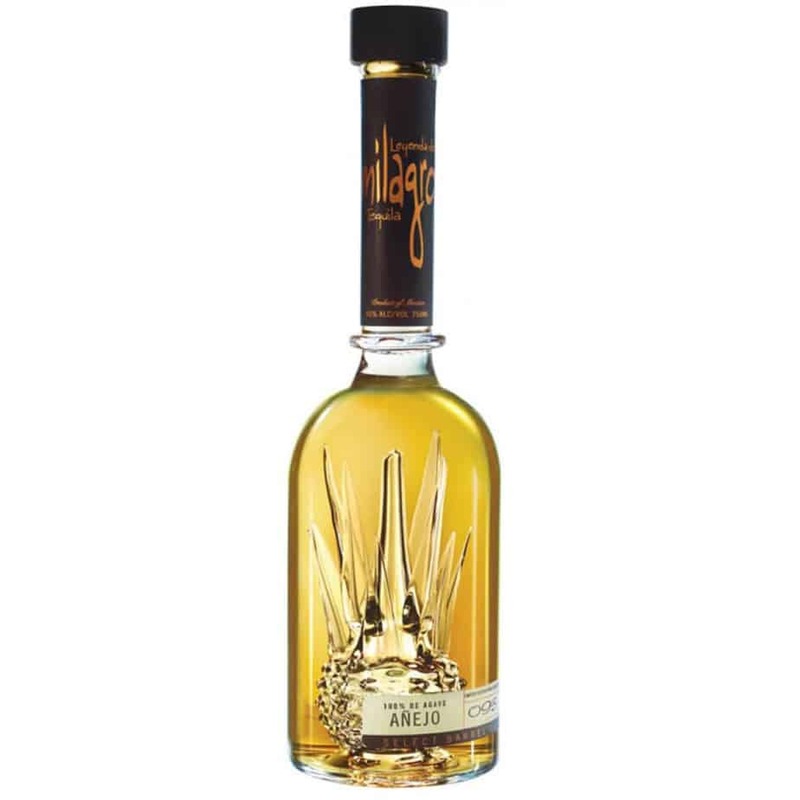 Our pick for best mid-shelf añejo tequila is Milagro Barrel Select Reserve Añejo. Try it and we’re sure you’ll agree. It’s triple-distilled and aged for 3 years in French single oak barrels, with flavors of vanilla, caramel, and unsweetened chocolate. Despite the low price tag, there are a lot of fine qualities in 1800 Reserva Añejo. Rested for up to 3 years in French oak with a small amount of American oak, 1800 Reserva is spicy and peppery. One sip, and you’ll be in love with this quality, entry-level añejo. You’re not in college anymore. You’re all grown up. You have a little money of your own and you want to surround yourself with only the very best in life. And this includes your drinking habits. This means it’s high time to adopt a “no mixto” policy. Whether you’re drinking at home or at your favorite bar, it’s time to grow out of sugary margaritas made from some God-knows-what tequila and cut-rate mixer. And the first step to improve your knowledge of fine tequila is getting to know añejo (“aged” or “rested”) tequilas. It should be noted that it’s a matter of controversy among tequila producers whether tequila should be aged for more than 4 years. Many producers disagree with doing so because they feel excessive oak aging degrades the distinctive agave flavor notes that fine tequilas are known for. What’s so different about añejo tequilas? For starters, they are darker colored, close to a deep amber or coppery tone. Their flavor is spicy and oak-influenced. Some feature flavors of dark chocolate, tobacco, and Asian spices. Añejos typically have a long and refined finish. Like all tequila, añejos are made from the blue agave plant. (Say it slowly now: ah-GAH-vey. It’s kind of like a cactus.) Then there’s mezcal. Real tequila is made from blue agave and only in specific regions of Mexico. When it comes to mezcal, these guidelines are not followed. Mezcal has a smoky and much harsher taste than tequila because it is made from the more common maguey plant. Now back to tequila. It takes about a decade for agave to mature. And once mature, the heart of the agave is full of the good stuff — fermentable fructose. The juice is squeezed from the heart of the agave before being fermented, distilled, and, in the case of añejo varieties of tequila, aged. The aging process allows the wood to come into play with the flavors of the agave, as well as the mysterious influence of the desert itself. Exactly how this works is the domain of master tequila makers. It’s the kind of secret passed down within families for centuries. Don’t be ashamed. Go ahead and ask: what about the worm? There’s no other way of putting it: the worm is a gimmick. Real tequila never, ever has a worm in it. Never. So when faced with a worm in a bottle, it’s best to pass. 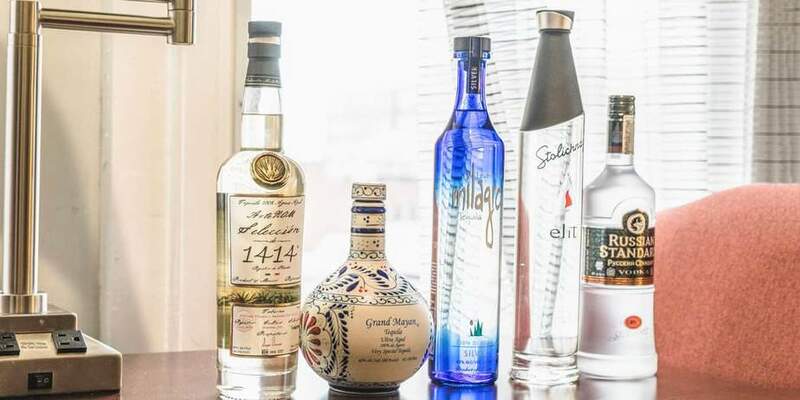 Like champagne, when it comes to tequila, region determines authenticity. To qualify as true tequila, it has to be made from plants that come from a specific region of Mexico — including the city of Tequila as well as a few surrounding areas. What’s important about that region is that the agave plant grows natively in these areas. And why Tequila, Mexico isn’t an annual spring break destination is beyond us. Some say blanco tequila is tequila for vodka drinkers. Well, añejos are tequila for scotch and whiskey fans. But maybe you’ve never had tequila besides mixed in a margarita or downed quickly with salt and a lime. Here are a few pointers when expanding you taste for fine tequila. Do you already like whiskey or scotch? Tequila’s not that different. When sipping a quality tequila, drink 3 to 5 ounces out of a snifter or low-ball glass. It’s best served at room temperature. But on the rocks is acceptable too — it’s up to you. Unlike wine, there’s no need to shake the glass or sniff tequila. The aromas of tequila will become more prevalent as you drink. And one pour should last you most of the night (don’t overdo it, guys). What if the flavor of straight tequila is too intense? Salt about an inch of your glass, not the whole thing. As a quick chaser, have a slice of lime on hand. You know a good tequila by a warm kick that starts in your chest. What’s the proper way to toast with tequila? There are a lot of great tequilas out there. Even when you narrow it down to añejos, there’s still a near-overwhelming number of choices. From the method of distillation to the aging process to the individual flavor notes, there’s a lot to consider. So how did we come up with our list? Grand Mayan Ultra Aged Tequila is rich in flavor — so rich that some say it is difficult to distinguish from other quality aged spirits. 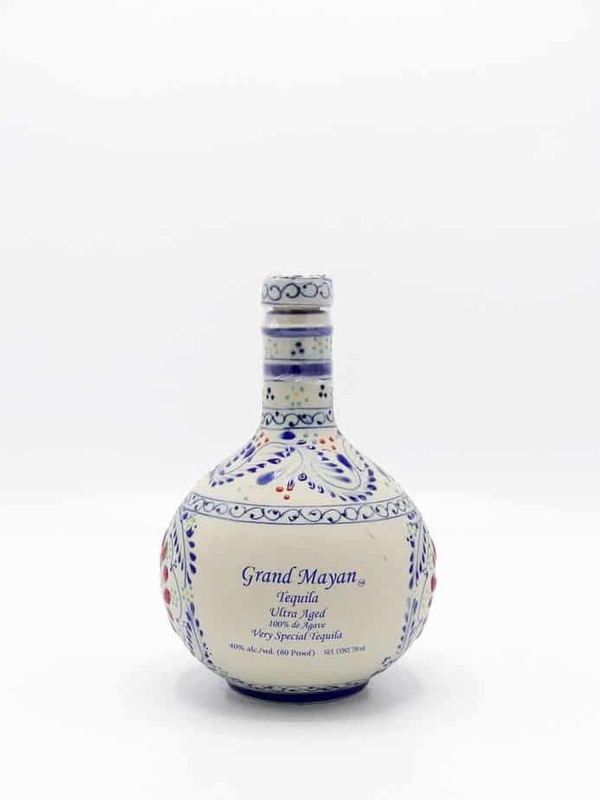 The Grand Mayan blends tequilas aged between 3 and 5 years in a combination of American and French oak barrels. Even the bottle it comes in is gorgeous. Some have called it one of the most beautiful bottles they’ve ever seen for a premium liquor. Overall, Grand Mayan is an incredibly oaky tequila with notes of caramel, vanilla, and chocolate — though with just a hint of agave. In fact, some taste more wood than agave when sampling this añejo. Grand Mayan is very dry, with absolutely no burn. It finishes like a bourbon. Gran Cava de Oro Extra Añejo is a subtle and elegant tequila. The blue Weber agave used to produce Gran Cava de Oro are grown for about a decade before being harvested. The agave is grown in the Los Altos and Tequila Valley regions of Jalisco. While a lot of añejos are aged in ex-bourbon American oak barrels, Gran Cava spends up to 5 years maturing in ex-red wine French oak barrels. Gran Cava is bottled at 38% ABV. This extra añejo is dark amber in color, with hues of bright red. And there’s a sweet aroma, mixing toasted flavors with notes of vanilla. There’s also cinnamon, caramel, vanilla, and nutmeg. Gran Cava is smooth and delicious, revealing more pleasant toasted flavors, cinnamon, and maple syrup. These flavors linger on the palate after the last swallow. When people think añejo, they often think “sweet.” But Tequila Ocho Añejo Magueyera is a little like a good mole, with flavors of cocoa and buttery richness. It’s also vegetal and peppery, like a good tequila should be. This elegant and restrained añejo is surprisingly clean with a sweet-saltiness. You’ll love its unparalleled smoothness and complexity, both of which are marks of a truly great sipping tequila. The blue agave used in Tequila Ocho are estate grown, and aged for one year in very used American whiskey barrels. The barrels are “neutralized,” helping the tequila retain as much true agave flavor as possible. Ocho Single Estate Vintages, like the Añejo Magueyera, showcase different nuances in nose and flavor year to year. The reason is that “single estate” means all of the agave are harvested from a single field. They all bear the unique and complex personality of the soil and climate. In other words, try Tequila Ocho Añejo Magueyera over the course of multiple years, and every time you’ll find new things to enjoy. 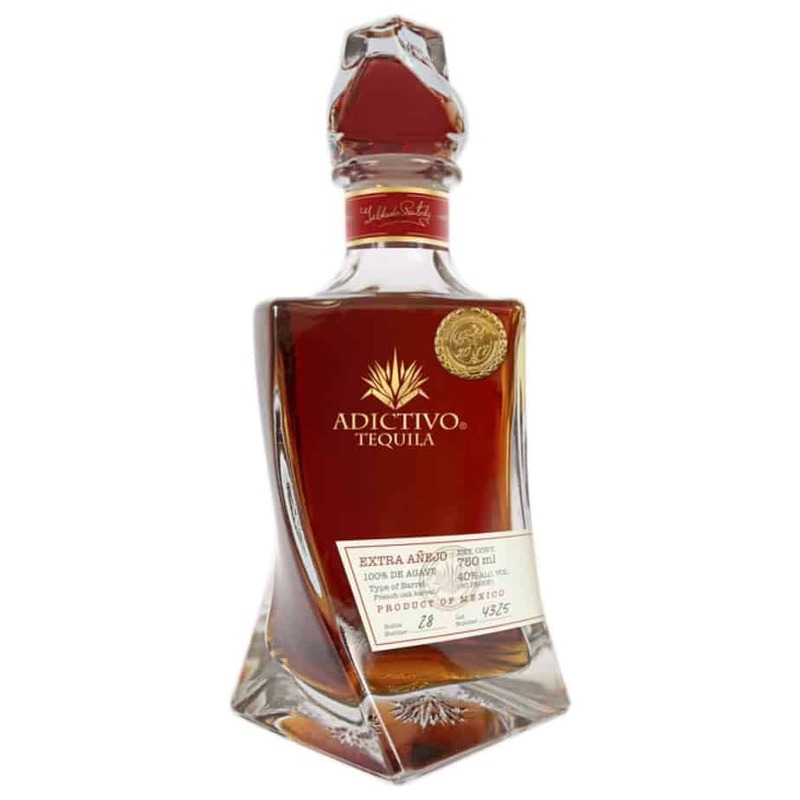 A relatively new brand on the market, Tequila Adictivo Extra Añejo is 100% pure blue agave. It’s dark amber in color with reddish hues and excellent roasted flavor, as well as sweet and fruity aromas. Aged for 7 years in French oak barrels, this tequila is subtle on the nose. There’s the whiff of sweet, dark berries. Others who have sampled Adictivo noticed fruits like melon and pears. 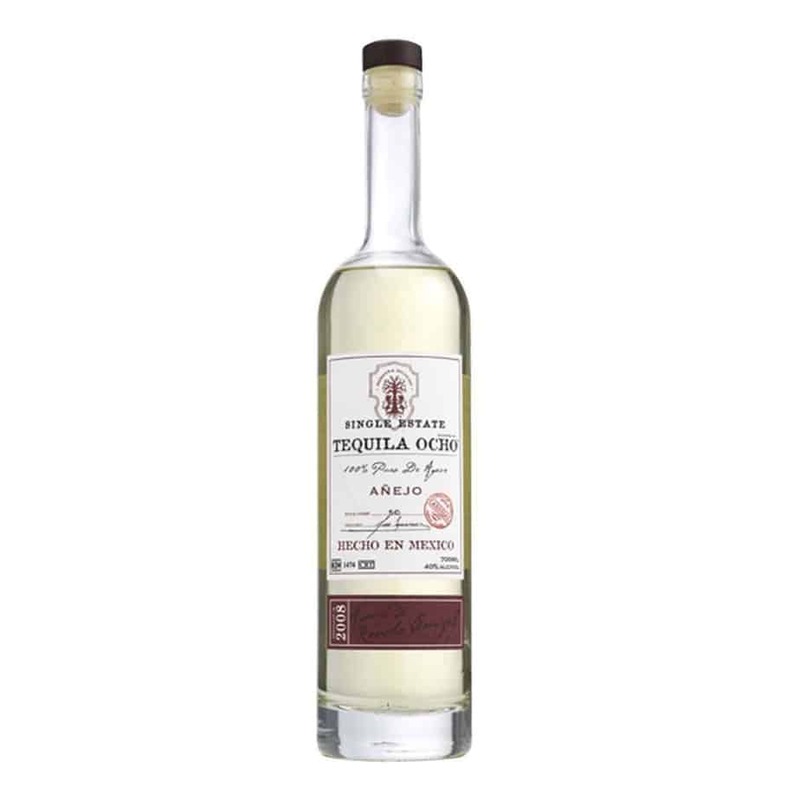 The French oak is prominent upon first tasting the tequila, with well-integrated oak and fruit flavors on the palate. You may also find bold-tasting baked fruit, oak resin, vanilla, caramel, and several other sweet flavors. And the finish lasts a very long time, with the lingering flavors of cognac. The finish also reveals toasty notes of vanilla. Some even take away notes of pine. Overall, there’s more cooked agave than barrel-influenced sweetness. Tequila Adictivo is your consummate dessert sipper. Presented in a unique hand-blown crystal bottle, Milagro Select Barrel Reserve Añejo is aged 3 years in new French single oak barrels. The agave is 100% estate-grown. Hand-picked and hand-selected from the highlands of Jalisco, the heart of the blue agave is then roasted in clay ovens made from the same volcanic soil. A triple distillation process reveals extraordinary depth and character as well as unparalleled smoothness. The nose is subtle, with flavors of agave, caramel, and vanilla, and the body is relatively thin. Yet somehow Milagro Barrel Select manages to taste different from sip to sip, and the complex flavors settle nicely in the mouth. There’s a lot going on with the Milagro Select. And if your preferences run on the sweet side, you’ll love Milagro Barrel Select Reserve Añejo as much as we do. 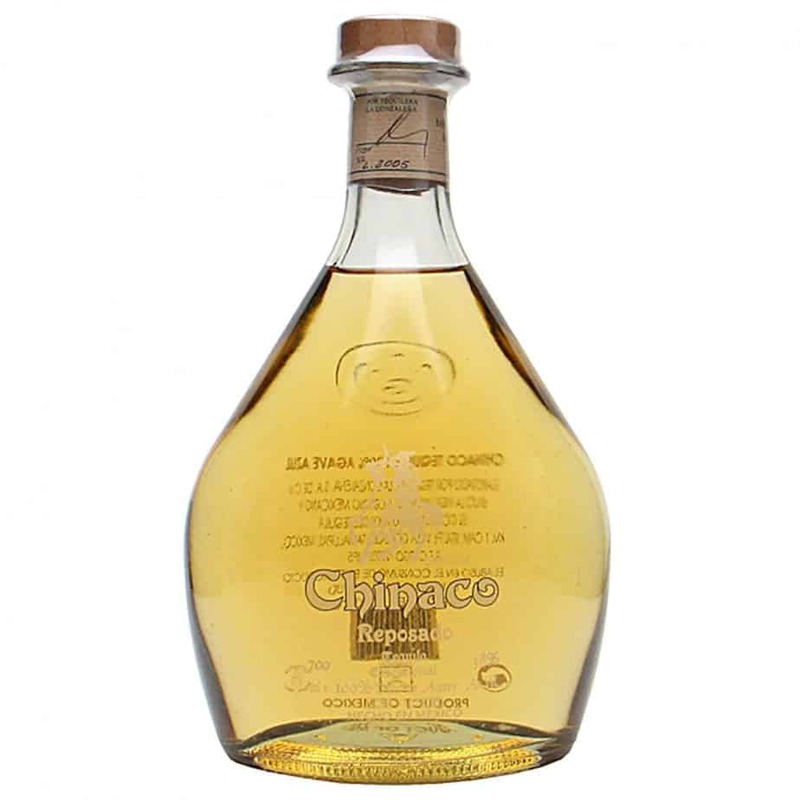 Chinaco Añejo is rare among tequilas because it is made in the northern state of Tamaulipas. In fact, the owner of the distillery had to fight to have his region included in the designated areas for tequila production. We’re glad he did. Distilled from Tamaulipas-grown agave both from the highlands and near the coast, plus a small amount harvested from Jalisco, this añejo is aged 2 and a half years in casks formerly used to mature Glenlivet single malt as well as ex-bourbon barrels. Rich and dense, with a lot of attitude, Chinaco Añejo is about the interplay between herbal and peppery agave flavors and wood-derived vanilla and toffee. In the middle, you’ll find notes of candied citrus, honey, and even some smoky bacon. In other words, there’s a whole lot going on with this tequila. But Chinaco Añejo pulls it off with skill and delicacy. Overall, this is an intense tequila perfect for sipping after a rich meal. Settle down, there. This is usually true — except for the Maestro Dobel Diamante. This añejo is a blend of reposado, añejo, and extra añejo tequila. And it’s made crystal-clear by a proprietary filtration system, removing most color from the blend. The result is almost an entirely new kind of tequila: diamond. The blend’s aroma is full of roasted agave. It’s very sweet, with notes of melon and caramelized pineapple on the palate, soon giving way to raisins and figs. And on the finish, you’ll find trace bits of licorice. 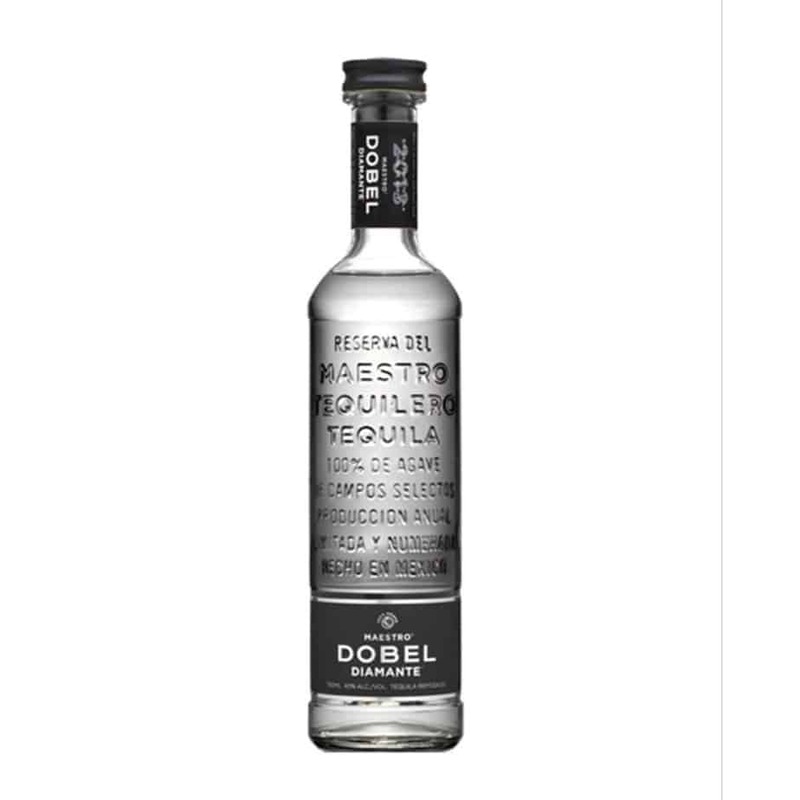 So rest assured, while Maestro Dobel Diamante is clear, it retains the signature rich, oaky flavors expected from aged tequilas. This tequila is perfect for sipping straight, chilling, or serving on the rocks. 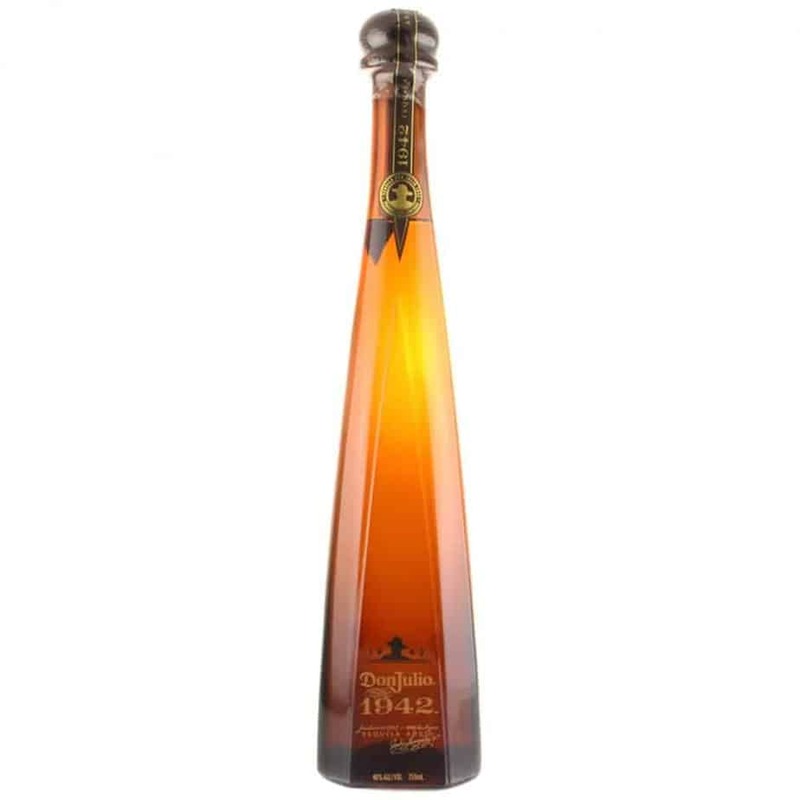 Don Julio 1942 is technically an añejo, aged for 2 and a half years in used American oak barrels. Don Julio only misses the extra añejo qualification by 6 months. The aromas of this limited-edition añejo combine butterscotch, dried grass, and old wood. And on the palate, Don Julio is full and creamy with white pepper, mint, and cinnamon alongside the sweet caramel. Upon first sip, you’ll notice roasted agave and more vanilla, as well as tropical fruits and subtle notes of spice. Don Julio is best served on its own. We recommend savoring the tequila from a snifter. Anyway, with a price tag like Don Julio, you’ll want to drink it slow and enjoy every drop. 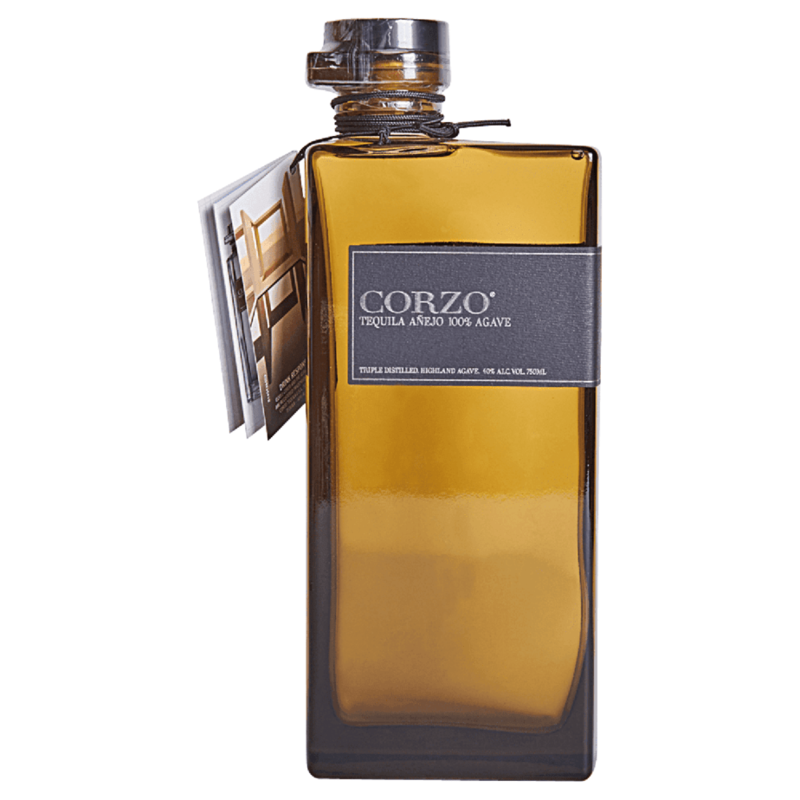 Triple-distilled for smoothness, Corzo Tequila Añejo is rested for just over a year in small white oak barrels. This spirit has a golden, sunny color. Breath deep, and you may find aromas like vanilla custard, pear, and honey. You may also notice a nice mix of light caramel, soft fruity agave, and spicy black pepper. There are also herbal, earthy notes, including mint and alfalfa hay. The sweetness of chocolate and vanilla then peeks through, with a little oak spice and even some tea leaves. And there’s just a hint of smoke on the finish. Affordable and uncomplicated (in a good way), 1800 Reserva is made from 100% blue Weber agave aged up to 12 years before it is harvested. Once distilled, the tequila is matured in French oak for a minimum of 14 months. For many, the thick, creamy mouthfeel and sweet overtones of 1800 Reserva bring bourbon to mind. 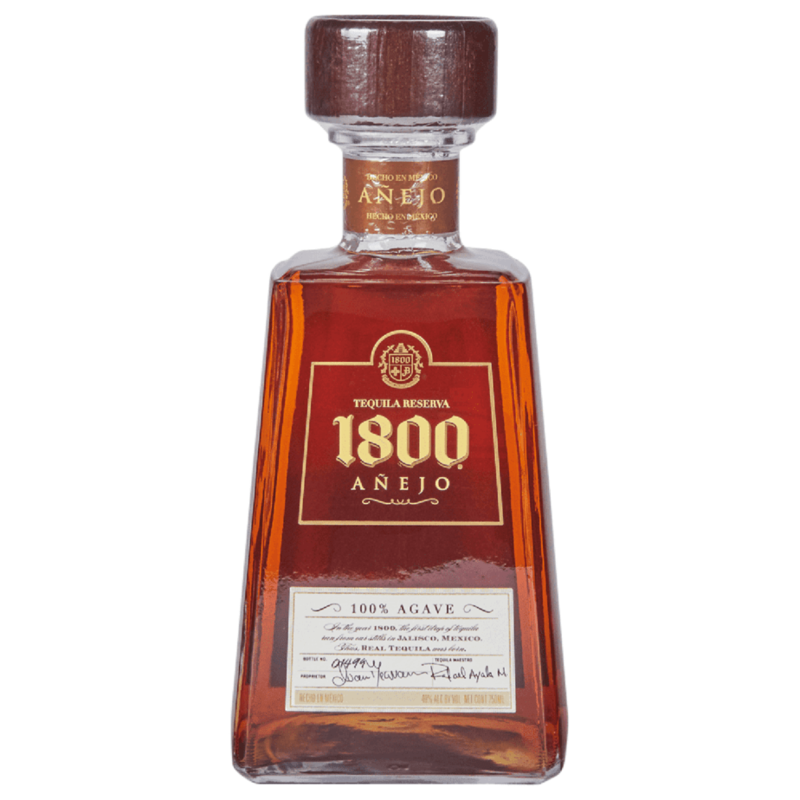 So 1800 Reserva may be perfect for fans of bourbon or whiskey on the hunt for something new. There are roasted and stewed agave flavors alongside vanilla, chocolate malt, caramel, and cinnamon. Drinking 1800 Reserva might even recall a Mexican hot chocolate, with a little cocoa powder and plenty of oak spice. 1800 Reserva’s lingering finish is rich, with notes of caramelized fruit and banana bread. At the end, you’re hit with hot chili spices and spearmint. Sip slowly, and make a tequila convert of your bourbon-only friends. Here are commonly asked questions for new tequila drinkers. Read on, and you’ll be well-equipped for your journey into the world of good tequila. What does añejo tequila taste like? Aged tequila is smooth with very little taste of alcohol. You still get the agave, but the overall flavors of añejo tequila are smoked oak, vanilla, caramel, and spices. 1. Don’t chill it. Okay, if you really want to, it’s acceptable, but we don’t recommend it. Chilling tequila masks aromas and dulls your sense of taste. This can prevent all the flavors from fully coming through. But if you must chill your tequila, use an ice cube. 2. Try an añejo with your dessert or with your spicy dishes. Aged tequilas tend to highlight the flavors of sweet foods while cutting the heat of spicy dishes. 3. Store your tequila properly. Tequila doesn’t spoil, but it does evaporate. We suggest storing tequila in a glass bottle with a good seal. Keep it out of direct sunlight, as too much sunlight can cause the tequila to lose some of the characteristic flavors. What’s a good mixed drink to make with tequila? There are a lot of popular mixed drinks that include tequila. If you must mix your tequila (which we don’t suggest with añejos), try the Tequila Sunrise. A Tequila Sunrise is delicious on a hot day. The fact that the ratio of juice to tequila is high makes it a good choice for a brunch cocktail: a little pick-me-up that won’t prevent you from getting through the rest of the day. Fill a highball glass with one and a half cups of ice, then set it aside. Combine tequila and orange juice in a cocktail mixing glass. We suggest a blanco tequila. Mixing tends to dull the rich flavors of añejo. And since añejos are more expensive, you won’t want to mix them anyway. Add one cup of ice, stir, and strain into the prepared highball glass. Slowly pour in grenadine and let settle. This step is important: Be patient and allow the grenadine to settle nicely. Garnish with a slice of orange and a maraschino cherry. Is añejo better than reposado? Añejo and reposado are both tequila — as in the real deal, made from real agave. The biggest differences between the 2 styles of tequila are in the fermentation and aging process. These differences cause variations in color and flavor between the 2 varieties of tequila. An añejo is more aged than a reposado. The flavors tend to be more complex. Unlike a reposado, añejos are known for a mellow oak flavor not unlike whiskey or scotch. Añejo is aged for a minimum of one year and not more than 3 years, while reposado is aged for a minimum of 2 months but not more than a year. Añejo is kept in small barrels. Reposados are kept in all types of barrels. Tequila & Lime Tie: Announce your love for tequila everywhere you go with this tequila and lime necktie. Tequila of the Month Club: Each month, give the tequila lover in your life an amazing new 750ml bottle of tequila. Tequila Scented Candle: Surround yourself with the lovely aroma of your favorite spirit with this tequila scented candle. “Save Water Drink Tequila” Sweatshirt: The most sensible advice you’ll hear all day. The Tequila Advent Calendar: On the third day of Christmas, your true love gave to you…this totally sick tequila advent calendar.